We STRONGLY feel Pets are important to our well-being and quality of life. So Pets are still welcome in all of our homes. We have never had a pet that smoked in bed and set fire to the building. We have never had a pet who played music or the TV too loudly. And we have never had a pet get drunk and knock holes in the walls. So if your pet can vouch for you, you're welcome too. We do not charge an increased security deposit for pets over 3 years of age. Pets are always welcome - Even welcome to come with you when you visit our office. We are one of the last management companies in town that allow animals. You'll most likely get to meet Ellie Mae (or May Not as she is sometimes called) on one of your tours as she loves to travel & meet people so I bring her to along to most showings. Super friend Norwegian Elkhound! 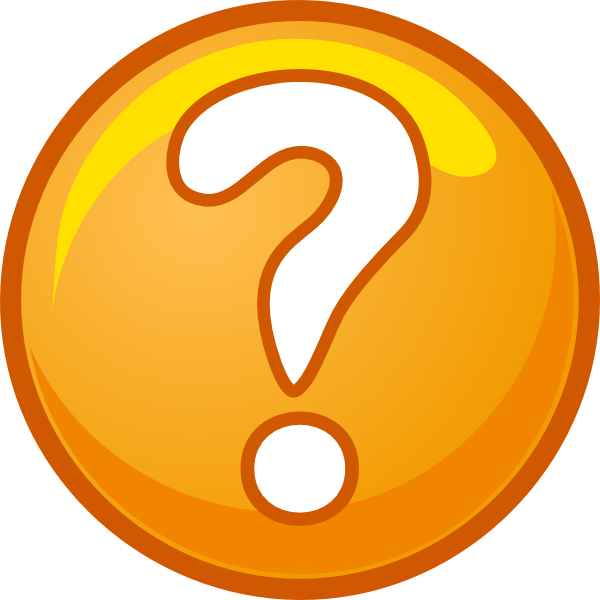 I am trying to post new listings but homes are renting before I can even finish most of the ads. All of our homes can be rented fully furnished for an extra monthly fee. Inquire with us directly for the nicely furnished home price includes rugs & coordinated drapes and/or short term rental options. Most items are from World Market, Pottery Barn, Ikea or/& Macys. Our goal is to give you a fun housing experience while you are in Klamath Falls. We even offer housewares and washer and dryers plus lawn care for a turn key solution. We will have very few homes coming open in the next few months due to such high demand and few above a 1 bedroom. Scroll down for details. Don't wait too long or there will be nothing left! Please Note: Smarthome & Smart Alarm systems are available for installation in all of our homes plus even some motorized blackout shades for TV and Movie viewing &/or gaming rooms. See costs on individual webpages - New alarm installs will include smoke detectors PLUS option for an image capture sensor that takes photos in an alarm state. Go to www.connected-smarthomes.com for info on Smarthomes & Motorized Shades. Please note - we do not leave TVs or any electronics in our Vacant units. We have several furnished rentals open now - just need to get the ads revised. We also rent our homes nightly and weekly - Click here to go to our Nightly/Weekly Rental Site - you can stay in any of our furnished homes short term via this link. 2225 Biehn - AC & New luxury bedding from Bloomingdales! Super Cute Remodeled One Bedroom House - Quite location, Oak Laminate Floors, gas fireplace style heater, fabulous kitchen remodel with Granite Countertops, $1100 Farmsink, washer/dryer option plus off street parking, claw foot tub and New Pet Fenced areas and patio coming. Shorter term leases are available including fully furnished lease. Can be rented furnished with housewares as a 1 bedroom house with a washer & dryer, utilities and lawn care. Please inquire with us directly for furnished home prices and short term rental options or click on the link above for more details. Additional Options - AC Options, 32" Smart TV Option, Housewares Option. Within walking distance to several Restaurants, Movie Theater plus the OIT & the Hospital. Furniture is all different - working on updating all the ads now. Super energy efficient unit with newer vinyl windows, $12 a year to run refrigerator, Maestro Light Dimmers & on demand water heater. New luxury bedding from Bloomingdales coming! Lovely Fully Furnished 3 bedroom 2 Bath Spanish Style, Craftsman built home with amazing period details - including coved ceilings, rare flush trim work, vintage locksets with glass knobs on Fir raised panel doors, oak hardwood floors, lovely leaded glass chandeliers in dining, living and halls plus 2 gas log fireplaces - all in a home you can truly enjoy! Park like setting with 23 Cedar Trees on 4 lots - Close to downtown, hospital & OIT. 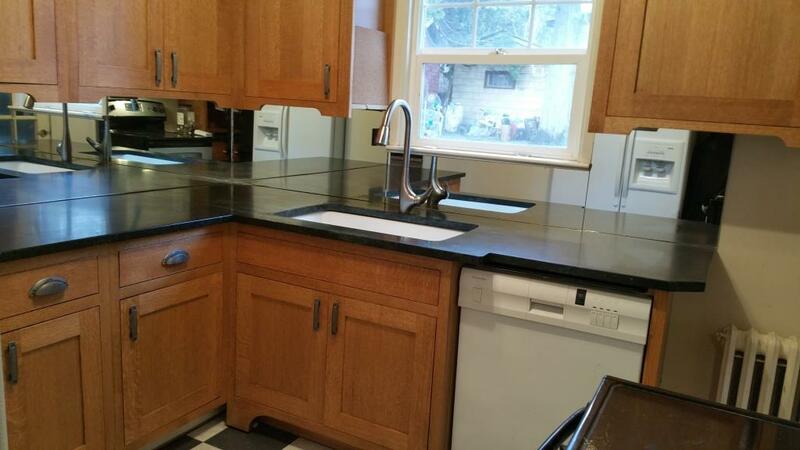 Amazing Kitchen Remodel Just Completed including Mirrored Backsplash that is amazing. Gorgeous Quarter Sawn Oak Shaker Kitchen. Smarthouse & Smart Alarm Options as well - visit www.t-crealty.com/733-furnished.htm to learn more. 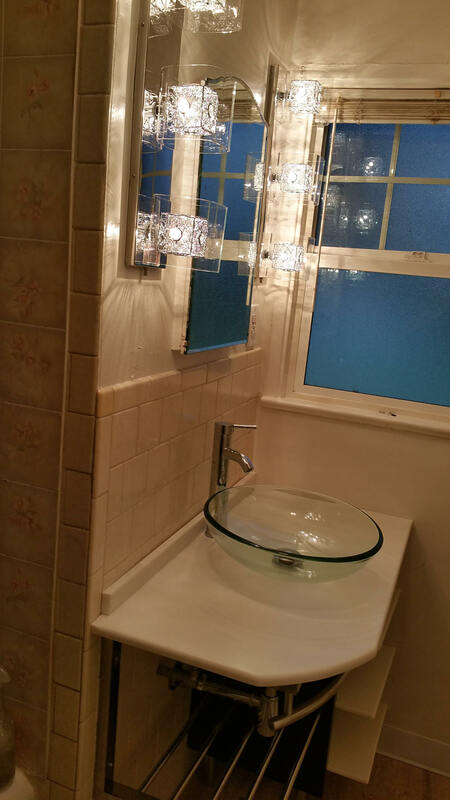 Bathroom was also upgraded with Glass Vessel Sink and Corian Countertop - Super Fun! Within walking distance to Downtown Restaurants, Theater plus the Saturday Market plus OIT & the Hospital by Bike. Please visit webpage for details Within walking distance to Downtown Restaurants, Theater plus the Saturday Market plus OIT & the Hospital by Bike. This home is currently fully furnished as a one bedroom with a washer & dryer. 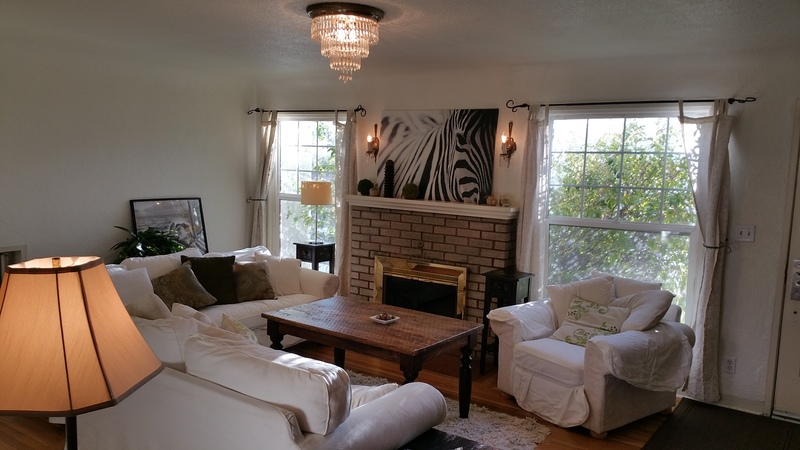 Click here or contact us if you want to rent this home fully furnished for a short term rental. We can even provide housewares if you need them. 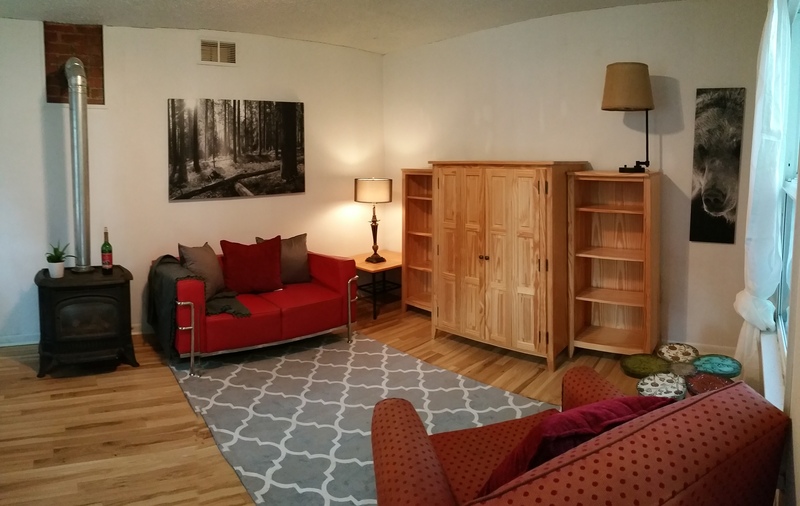 We may have more furnished rentals opening up at the end of this month. Text us at 866-883-3421 or click here to email us! Sign up for a longer term lease &/or an increase in rent for a Smart Home upgrade - control the lights in this home with a smartphone or tablet (requires tenant paid internet service & $20 App). Includes Fabulous Virtual Scenes like Movie, Relax & Entertain even a Goodnight button that turns everything off and your bedroom light on. Plus an Away Timeclock mode that turns your lights on and off for you while you are way. 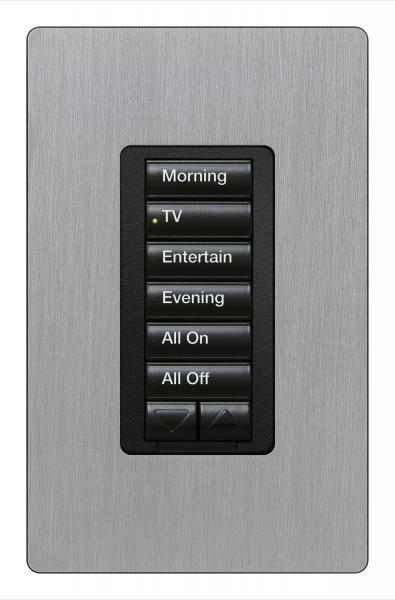 Plus more - remote controls and backlit keypads - 5K system. Sign up for a longer term lease + increase in rent for an Security system you can control from your smartphone, tablet or PC. ** Please Note ** Voice recordings may not be accurate - so please be sure to check out the webpage first. New Remodel Options Available in most of our Homes! Lutron light dimmers are being installed in most of our homes - some even with Lutron Maestro wireless under cabinet lights in the kitchen- Too Cool! 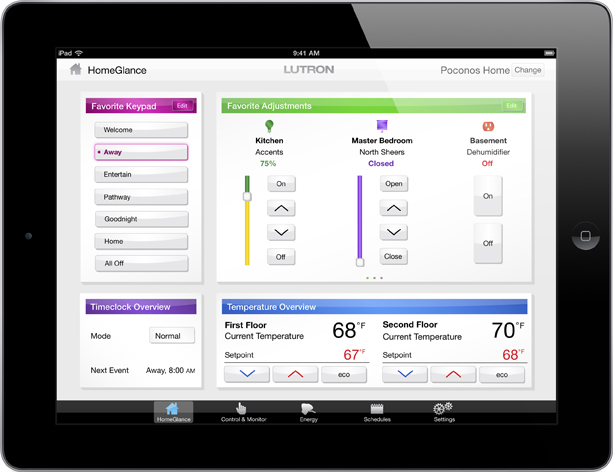 Lutron Maestro Wireless Lights & pico controls - click here for details - About a $900 upgrade! 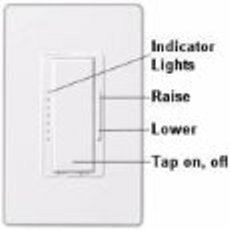 Only works with incandescent lights - Digital Fade Dimmers - At the touch of a button, dimmer can go immediately to a favorite preset light level, fade-to-off, or adjust manually. 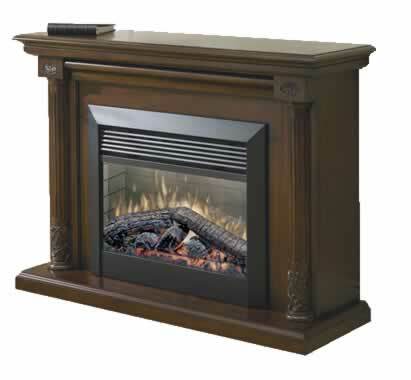 Electric Fireplace with mantel can be installed for $18 extra a month in rent on a lease of 12 months. Incredibly realistic 3-D flame! Different mantels available from all white to oak, cherry, etc. Corner & standard mantels available. 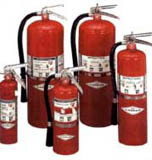 Ever had a crisis with your refrigerator, plumbing or heating and could not get a hold of your landlord? We know how horrible that is so we developed our HELP Center w/ our Contractor List - you can get it 24 hours a day by clicking here or by calling Toll Free 1-866- 883-3421 and entering in HELP (or extension 4357). press 07 and our system will fax the list to you. We accept Online payments for rent, deposits, & applicant screening charges- just sign up for an account at www.paypal.com , click send money & send to our email address which is our account - info@t-crealty.com (PayPal charges us to accept these payments & the charge(s) approximately 2.9% will need to be reimbursed the following month). Thank you for visiting our website and we wish you the best in your home search!